The eighth annual festival will take place at Croft Farm on Saturday, April 29. 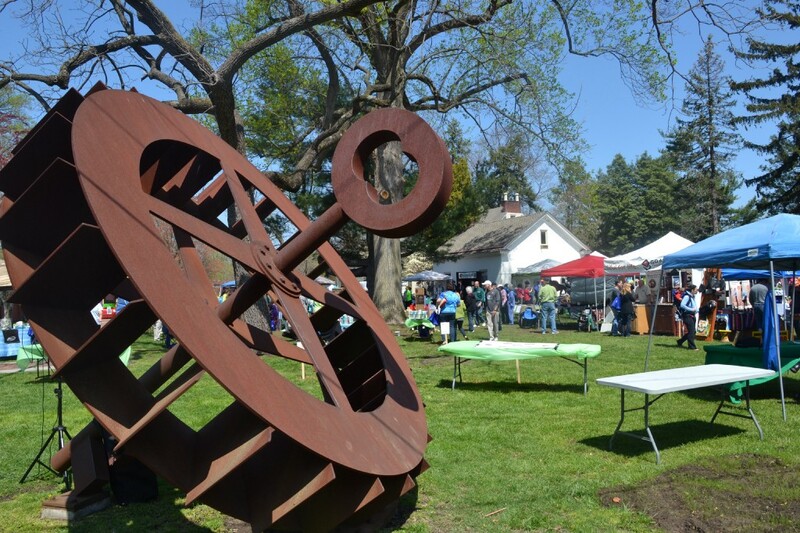 Attendees at the eighth annual Sustainable Cherry Hill Earth Festival can get their day started earlier than ever this year. In addition to the Family Fun Bike Ride Sustainable Cherry Hill has held in the past, residents can enjoy two workout classes at Croft Farm. The classes and bike ride will kick off the festival, which takes place from 10 a.m. to 2 p.m. on Saturday, April 29. One of the festival’s title sponsors, LourdesCare at Cherry Hill, will host both yoga and tai chi chih classes. A 30-minute yoga class will take place at 8:15 a.m. and a tai chi chih class will take place at 10:15 a.m. Classes will take place outside on the festival main grounds. If there is rain, classes will be moved inside to the arts center. The Family Fun Bike Ride will also take place prior to the festival at 9 a.m. Anyone ages 8 and up will be able to ride a two- and nine-mile bike route through the surrounding neighborhoods. Check-in for the bike ride begins at 8 a.m. Sustainable Cherry Hill wants everyone planning to attend the festival to consider alternate means of transportation. The festival will bring back its bike valet parking this year, which gives riders a place to safely park their bikes while they enjoy the event. Brenda Jorett, producer of Sustainable Cherry Hill Earth Festival, said encouraging people to bike to the festival has been a major goal this year. At the festival, attendees will notice a few new food choices. Sustainable Cherry Hill is partnering with The Square Meal, a restaurant serving meals with fresh and locally grown ingredients. Also serving food for the first time this year will be Famous Sgt. Bob Smoke BBQ and Grill, a barbecue restaurant based in Vineland and Wilmington, Del. Matty G. Dogz, a hot dog vendor and repeat vendor at the festival, will be adding veggie dogs to its menu. Sustainable Cherry Hill wants residents to be active participants in the festival. Local artist Suzy Sherbine and event volunteers will lead an ongoing upcycled art project. Attendees will be asked for their ideas on how to create a more sustainable world, with their answers being incorporated into the project. Two of Sherbine’s upcycled sculptures will also be on display at the festival. As in past years, Cherry Hill schools will be involved. All 19 public schools and Montessori Seeds of Education will have displays. There will also be a group of Cherry Hill High School West broadcasting students producing a video at the event. This year’s event is the first to be held since Cherry Hill Township unveiled its Roadmap to the Future sustainability plan last May. Jorett hopes festival-goers will learn more about the plan and find ways to incorporate it into their lives. “We’re hoping people become much more aware of the sustainability plan,” she said. The Earth Festival is free to attend and open to the public. For a full list of activities, vendors and entertainment, visit www.sustainablecherryhill.org/who-we-are/sustainable-cherry-hill-earth-festival.